100% KIWI Extra Virgin Olive Oil is a natural product that’s high in nutritional value. It’s made from the juice of the fruit of the olive tree, extracted at a temperature of less than 27 degrees celsius. 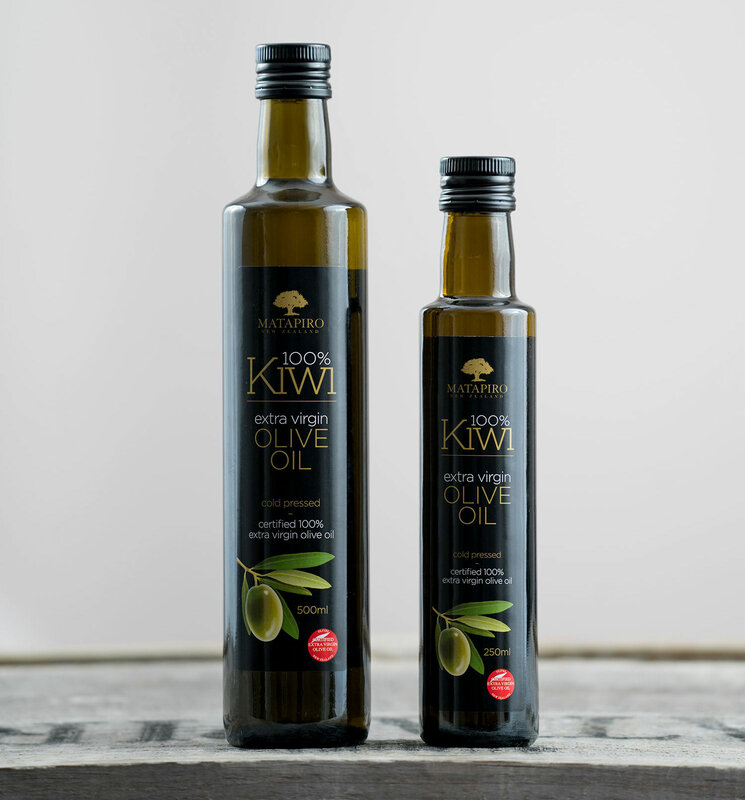 100% KIWI Extra Virgin Olive Oil 250ml and 500ml sizes are available from most Countdown and New World supermarkets. This smart packaging allows you to measure just as much delicious 100% KIWI EVOO as you would like. Ideal whether you’re at the barbecue, baking, or just mixing a salad. Enjoy your 100% KIWI in a fine mist, without the negative flavour impact or safety worry of using an aerosol. If you consume your 100% KIWI EVOO in high quantities then this is for you. Available in selected Vetro stores, Gilmours, and Moore Wilson’s. 100% KIWI Extra Virgin Olive Oil should be used within 2 years of the date of harvesting. When you open a bottle of Extra Virgin Olive Oil, enjoy it fresh and don’t keep it for longer than 3 months. 100% KIWI Extra Virgin Olive Oil is low in FFAs, which means it has a higher smoking point and can be used for cooking at a high heat. 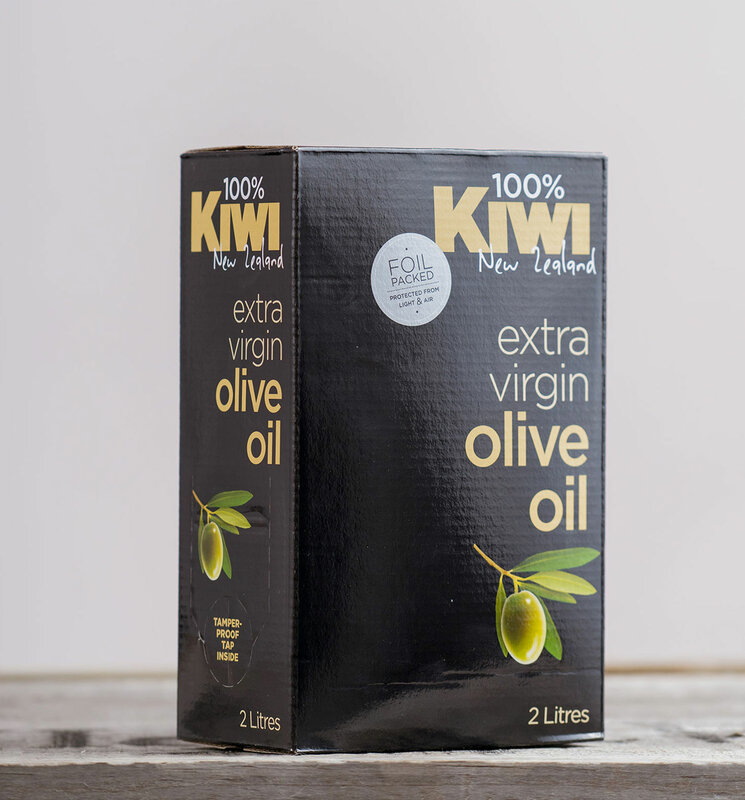 Your 100% KIWI Extra Virgin Olive Oil keeps best if you store it in a cool, dark environment (but not the fridge). 100% KIWI Extra Virgin Olive Oil is certified by Olives New Zealand and carries the OliveMark. 100% KIWI is MPI certified to National Programme Level 3.